REDEYEF, Tunisia — In the desert, far from Tunisias bustling ports, tourist beaches and sprawling olive plantations, lies a colossal state company that was once the beating heart of the national economy. Brought to its knees by inefficiency and social unrest, it is now threatened with extinction — by an obscure bit of legislation making its way through the Brussels machinery. The Compagnie des Phosphates de Gafsa, the state-owned phosphate mining monopoly, is virtually the sole employer in the countrys neglected and impoverished center-west. It provides jobs to tens of thousands of Tunisians. But the company has seen better days. Business has soured since the countrys 2011 revolution. Labor turmoil has exploded. Those who miss out in the companys annual hiring rounds often riot or barricade mines in protest. Those who succeed end up in pointless jobs, since the government hires more than it needs in a Soviet-style form of social welfare. The companys production has collapsed. Now, EU bureaucrats bickering over environmental regulation are poised to make a call that could bleed this Ozymandian business concern to death, once and for all. At issue is cadmium — a carcinogenic heavy metal — found in phosphate rock. Brussels is currently considering how to limit levels of the toxic substance in its phosphate imports, which companies process into fertilizer destined for European farms. The debate has turned into a geopolitical struggle between Morocco, which supplies most of Europes phosphate, and Russia, which sits on vast deposits of low-cadmium rock. Tunisia is beset by economic gloom caused by graft, political instability and Islamic State terrorism, with effects that are reverberating in Europe. The trouble for North African producers is the regions phosphate is heavy with cadmium. Tunisias, especially so. The country can hardly afford trouble in the Gafsa Governorate, where the mines are. Tunisia is beset by economic gloom caused by graft, political instability and Islamic State terrorism, with effects that are reverberating in Europe. Tunisia now produces more migrants to Italy than any other country, and the number of Tunisians crossing the sea has increased dramatically. Founded by French industrialists in 1896, the Compagnie des Phosphates de Gafsa (CPG) blew life into the featureless desert along the Algerian border. A slew of towns — such as Mdhilla, Métlaoui or Redeyef — flourished where the French colonists dug their mines. Once the largest employer in the protectorate, the CPG continued from strength to strength long after Tunisias independence. In 2010, it was the fifth-largest phosphate producer in the world. “It was a jewel,” says Mondher Ben Ayed, a former president of Tunisias Chamber of Commerce, squeezing his fingertips together to imitate holding something precious. Tunisia has some oil and gas. However, its traditional sources of hard currency are tourism and phosphate. Europe has historically been the main destination for the countrys mining exports, according to several industry officials. Tunisias kleptocrat rulers never invested in the Gafsa regions economy, a decision Ben Ayed classifies as a “monumental error.” Even while the CPG was a world player, the government used it as a safety valve that could provide jobs where none others existed. Then the revolution happened, and Gafsa took a darker turn. “The social problems havent disappeared, theyve gotten worse,” Ben Ayed says. Amaïdi Abdeljelil, the pit boss at the Redeyef mine, blames continual strikes and sit-ins from poor miners and desperate jobseekers for having crashed production. He said the company dug 9 million tons of phosphate in 2010 and that it was on target for 12 million in 2012. “We were aiming for 14 million in the future,” he says, slouching over a teak desk, in a small building on the outskirts of town. “Now we do close to 3.5 million — a loss of 70 percent,” he adds, explaining that the business is on the verge of failure. Tunis now bankrolls the CPG simply to keep people off the streets — a setup that is becoming more unsustainable as the economic crisis deepens. Consumer prices in the country rose 7 percent over the last year, according to the its statistical authority, and the official unemployment rate is 15 percent. Foreign currency reserves are dwindling rapidly. In August, the government had just under $4 billion in the bank, enough to cover 70 days of imports, down from about €5 billion in February. In Gafsa, unemployment hovers around 30 percent — the source of the sporadic unrest that flared up again this spring, when jobless protesters managed to shut down all the mines. The effects of decades of government neglect and underemployment are on full display in Redeyef. Hundreds of young men while away their days smoking cigarettes and playing cards in airless cafés. Others seek the shade of low-slung buildings to escape heat that in the summer regularly touches 40 degrees Celsius. Women are much less visible. Heavy equipment for loading phosphate rock looms over the narrow-gauge railway that runs to the port at Sfax. Soldiers — rather than police — patrol the outskirts. In Tunisia, the town is known as the cradle of the revolution. In 2008, protests erupted in Redeyef over corrupt hiring practices in the mines — the first uprising against the Ben Ali regime — and spread across the whole region. Several died and police arrested hundreds, including an influential union leader who was only released in 2011. Graffiti related to the event still adorns the walls. “Its difficult to control, even for a police state,” says Ben Ayed, who adds that CPG miners had played an instrumental role in the fight against French colonists. Few, if any jobs, exist outside the mines. “We are the first employer. There are no other work opportunities,” says Abdeljelil, the pit boss. Ammar ben Abbés, a hardware engineer in Redeyef, says everything in the town, “from the corner shops, to the butchers,” ultimately depends on the phosphate industry. “Without it, there would be misery,” he says. The fear is that Brussels decision on cadmium will make things worse. The CPG doesnt publish detailed financial figures. However, the running assumption among observers is that it has been loss-making for years. “There is absolutely no transparency in terms of revenue,” says Med Dhia Hammami, a political analyst and former journalist focused on Tunisias extractive industries. He estimates the companys annual revenue to be below 1 billion Tunisian dinars (€300 million). The companys bottom line — and possibly Tunisias stability — will be affected no matter how the talks on slashing cadmium levels play out in Brussels. Legislative negotiators are currently stuck over how much to limit the substance. Options on the table range from curbing cadmium at 20 mg per kilo of phosphate rock to 60 mg. Tunisias phosphate rock contains in the vicinity of 80-90 mg/kg, according to several officials. “That basically means that even if you take the highest limit, a lot of the Tunisian rock is really out of spec,” says Tomasz Włostowski, the director general of Alliance Européenne des Engrais Phosphatés, an EU phosphate fertilizers lobby. Tunis is lobbying in Brussels for a moratorium before new cadmium rules come into effect to give it time to adjust. 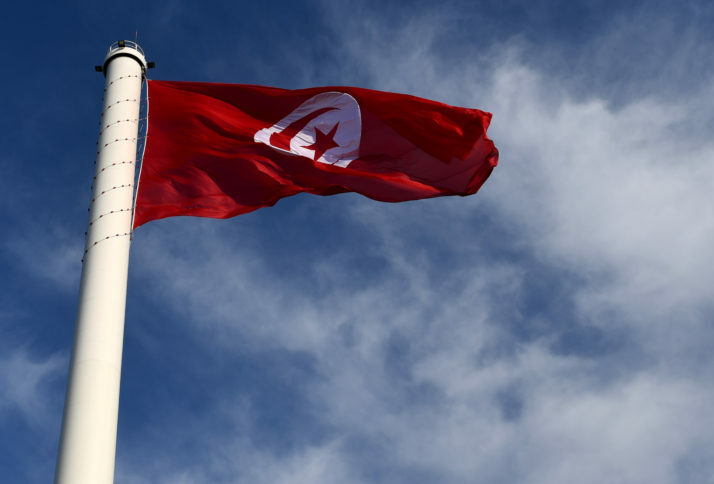 It also wants about €100 million to help it invest in cadmium-removal technology, according to Tunisias ambassador to Brussels, Tahar Cherif. Yet experts doubt that technological solutions will work. Włostowski says that many of the ways to remove cadmium at scale exist only on paper, or in the lab. The animal feed industry does decadmiate phosphoric acid, he said, but that drives up cost of the final product exponentially. “The price is going to skyrocket,” he adds. Low-cadmium Russian phosphate will price Tunisia out of the market. Koubaa Lazhar, the director of research at the Groupe Chimique de Tunisie, the state-owned phosphate-processing company, agrees. “If they go for lower [cadmium] ceilings … I wont say its impossible, but it would need a lot of investment,” he says. Even with the hoped-for technology, the price of phosphate would rise. Cherif is more positive about the prospects of decadmiation, but he warns that a failure to find the solution would be dire.